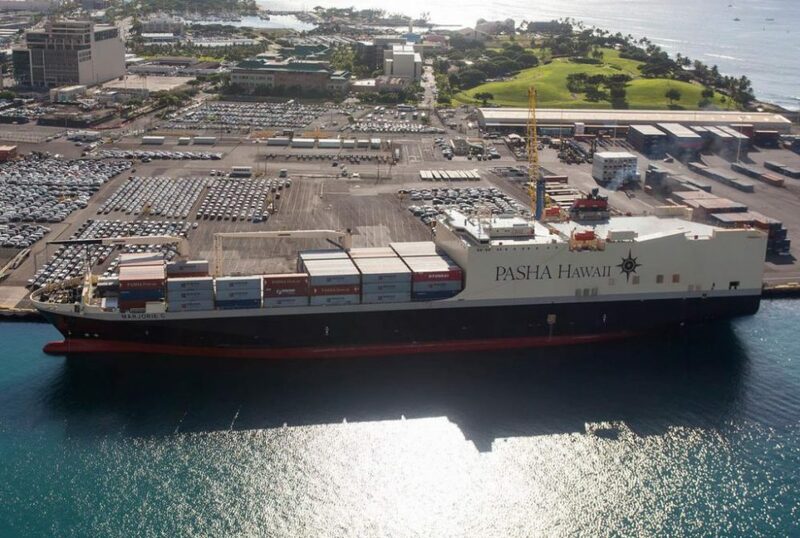 The American shipping company Pasha Hawaii, which is part of the Pasha Group, has signed a contract with the shipyard Keppel AmFELS in Brownsville, Texas for the construction of two container ships running on liquefied natural gas (LNG). The contract provides for the option for building of two additional vessels. Currently, Pasha Hawaii is finalizing the technical specifications of the contract. In addition to the use of environmentally friendly fuel, the vessels are distinguished by their energy efficiency due to the latest engines, optimized hull shape and the propeller system. The delivery of the first vessel of this series is planned for the first quarter of 2020, the second vessel for the third quarter of the same year. The new container ships of this project that meet the requirements of the Jones Act will be able to carry 2,525 TEUs each, including 500 fully loaded 45-foot containers, 400 refrigerated containers and 300 FEU. The operational speed of the vessels will be 23.0 knots. Pasha Hawaii is part of the group of companies Pasha Group. The company is engaged in the transportation of container cargo, wheeled vehicles, bulky goods, operates a network of terminals and logistics transshipment centers. The transport and logistics group Pasha Group, established in 1947, is a family business and operates through 300 offices around the world.